Google reviews, ratings, and profiles are invaluable for doctors in today’s ever-expanding field of digital marketing. For many practices, Google My Business (GMB) is their lead generation tool and source of web traffic. 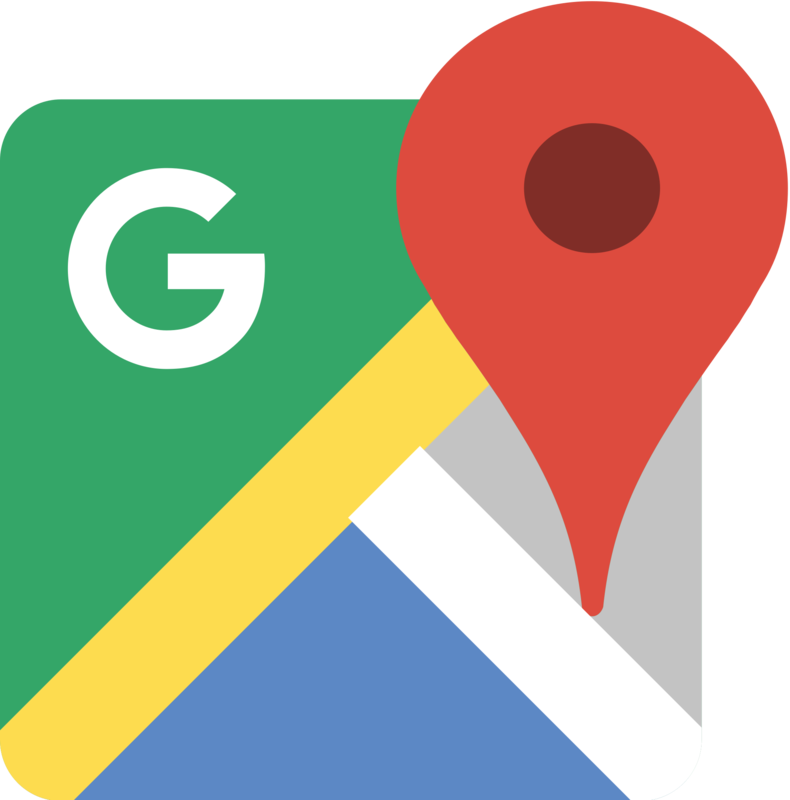 Google My Business will help put your business on the map, literally. When people search for a doctor (e.g., “orthopedic surgeon near me”), does your practice show up first in Google? If not, then continue reading for more Google My Business tips and tricks. Whether you’re a medical practice or not, the below Google My Business tips likely apply to you! 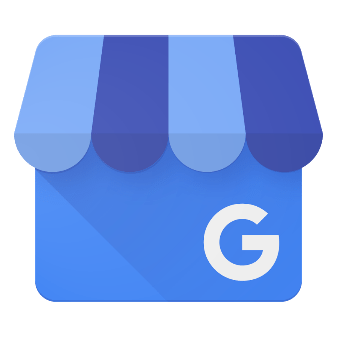 Google My Business is an easy-to-use tool for businesses to manage their online presence across Google, including Search and Maps. By verifying and editing your business information, you help customers find you and tell them the story of your business. Originally businesses created a Google+ profile, but this process was streamlined and merged into Google My Business in 2014. Now, Google My Business is the one-stop-shop for all business information, reviews, ratings, photos, and more. Stay Updated – Post key information about your business including hours, address, phone numbers, and more. Respond to Reviews – Interact directly with customers. Stay notified any time a new review is added so you can stay on top of your online presence. Connect with Customers – Share important announcements, news, or events with your audience. Know How People Interact With Your Business – Use robust Google Insights to see how people are interacting with your profile. Google tracks website visits, when visitors ask for directions, or even make calls from your profile. Tell Customers How Your Business is Unique – Add original photos, highlighting your business and employees. Create a business description showcasing what makes your unique. Google My Business makes you and your medical practice discoverable online so more patients can find you. 93% of all online experiences begin with search engines and 90% of all searches occur on Google. 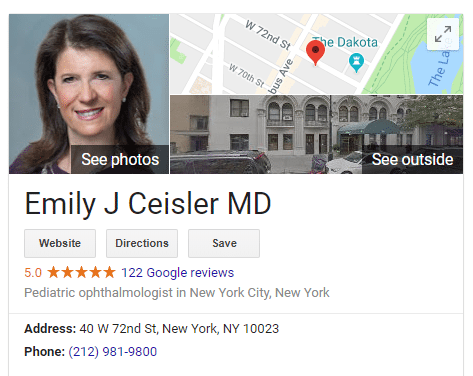 Optimizing your Google My Business profile will increase your medical practice’s search visibility so you can get discovered by more patients. For medical practices, growing your organic presence through Google My Business should be one of your top marketing priorities. rater8 is the leader in healthcare reputation management. We help medical practices build their online reviews on Google My Business. In addition to our review builder and patient satisfaction surveys, we offer end-to-end solutions for Google My Business. Let our team of experts do the heavy lifting and manage and optimize your Google profiles. Want to grow your online Google reviews? Most of the page’s real estate is Google’s local 3-pack. The local 3-pack is very competitive and highly coveted. It used to be the local 7-pack, but in 2014, Google reduced the number of featured businesses to three. As a business owner, the local 3-pack offers tremendous potential traffic and new business. To be featured here, Google looks at a number of factors such as: number of reviews, overall rating, Name/Address/Phone (NAP) consistency, keywords, profile completeness, review “freshness”, photos, and much more! If you’re Google My Business profile is not optimized, this should be one of your first digital marketing priorities. Local Google search results are determined based on relevance, distance, and prominence. Google employs a sophisticated algorithm to return the best results to its end users. Because they want to return high quality results, it is not possible to “pay your way to the top”. There is no way to pay or request a better ranking in Google search results. Tell Google about your medical practice. Who are you and what do you do? To help answer this question, it is important to have a complete Google My Business profile. The more information you provide Google about your practice, the better. How far is your practice from the online searcher? If the end user doesn’t specify a location, Google will use the end user’s known location. Prominence means: “How well-known is your business?” If you want to increase the prominence of your business, the best way to do so is to increase your online reviews and ratings. Your Google website ranking will also be taken into account so it’s important to follow best SEO-practices. Finally, Google will analyze your medical practice’s presence across the web, including blogs, articles, and directories. Only editors and managers can edit a Google My Business profile. And in order to become an owner or manager, you must first claim your Google My Business ownership. If a Google My Business profile does not already exist for you or your medical practice, you must create it from scratch. 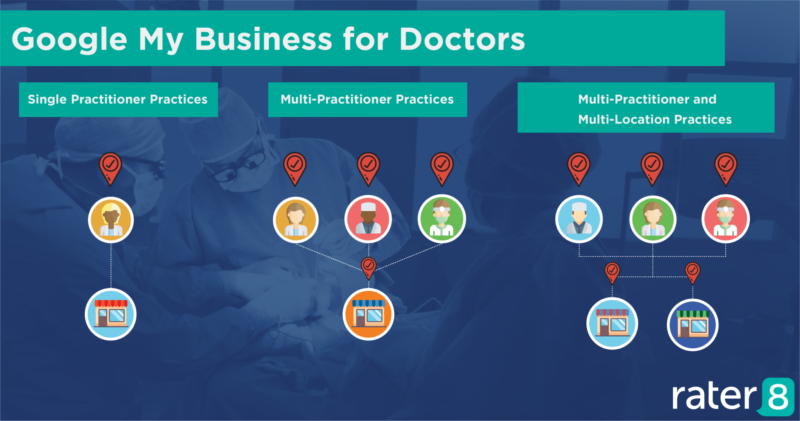 The above image highlights the three most common Google My Business scenarios for doctors. He or she operates in a public-facing role. Note that nurse practitioners and physical therapists are allowed to have their own listings. A doctor should not have multiple listings to cover all of his or her specialties. Remember that the title should only include the name of the doctor. Both the MD or Dr. designation are acceptable. The title should not include the name of the hospital or medical practice. Good Title: John A. Smith, M.D. The organization should create a listing for each location, separate from that of the practitioner. If your medical practice has five doctors and two locations, then you will want seven separate listings in total. 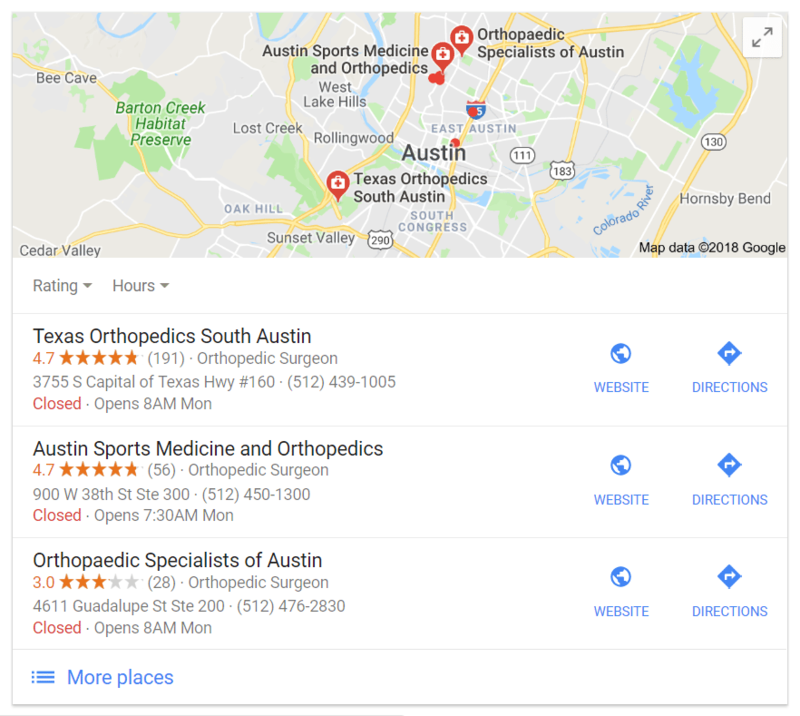 Google allows separate Google My Business listings for each doctor and location. For example, if a doctor sees patients at a three office locations, he/she in theory could have three doctor listings. However, we at rater8 discourage this. Why? Because of review and rating dilution. Instead, we recommend one listing per doctor. To claim ownership, a postcard will be sent by Google to the business address within 3-5 business days. This postcard contains a verification code. Please note that Google My Business does not allow PO boxes. Once your listing is claimed, then you can begin editing and optimizing your profile. For complete verification instructions, visit here. It’s important to have a consistent name, address, and phone number (NAP) within your Google My Business profile. Make sure this information is up-to-date and consistent on all platforms, websites, and directories (not just Google My Business). Having an inconsistent NAP will mislead or confuse users and you risk losing their business. Furthermore, it may hurt your SEO rankings. You’re allowed to input two phone numbers (mobile and landline). You cannot enter your fax number. Upload high quality, professional photos to your Google My Business profiles, particularly if the listing is for a doctor. Headshots are great. You can also include the practice’s logo or images of the building/facilities. One recommendation is to avoid stock photos. Stock photos are acceptable on the website, but they do not belong in your Google My Business profile. Learn more about adding photos for Google My Business. After you upload photos, consider adding videos to your profile. Very few practices (or businesses in general) take advantage of this feature. If you choose to add a video, it will set you and your practice apart from other listings. The process of adding videos to your Google My Business profile is similar to photos: within the main dashboard, navigate to the Photos tap and select “Video” from the top toolbar. Potential (and existing) patients want to know when you’re open for business. Listing the hours helps visitors know when they can and cannot contact you. Google My Business also allows to update your hours for holidays using the “special hours” feature. Google allows you to categorize your business. It’s important to select your categories carefully – they should be specific and relevant to your specialty. Don’t simply say “Doctor.” Instead be more specific (i.e., “Orthopedic Surgeon”). Google allows you to type in your own category, but it’s in your best interest to use the auto-complete categories. Avoid repeats or basic phrase variation. For example, the service “eye surgery” and “eye surgeon” are too similar and a waste of a category. You’re allowed to choose up to 10 categories. The first category you enter will be considered your primary category so this one carries more weight than others. This is your opportunity to shine. Tell potential patients what sets you apart from other doctors or medical practices. Do not include URLs or HTML code. The business description is cut off at 750 characters so be sure not to exceed this length. Lastly, avoid keyword stuffing, but be sure to target relevant and important terms. The URL should direct users to the practice’s website. Do not direct users to a social media profile like Facebook or LinkedIn. Similar to NAP, the URL you use should be consistent and up to date. rater8 can help. After all, this is our specialty. We help you build strong Google reviews consistently and organically overtime. This will boost your medical practice’s visibility in the local 3-pack, drive more visitors to your website, and increase your practice’s profitability. Upon checking out, patients provide fast, easy feedback in our intuitive software on a scale of 1 to 5 stars. Happy patients are automatically redirected to the doctor’s Google My Business profile. The patients are thanked for their feedback and are encouraged to share their (positive) thoughts with others online. Unhappy patients will not be re-directed to the review sites so they don’t tarnish your online reputation. Should you ever buy Google reviews? Absolutely not. Google is too smart. They have advanced algorithms which detect fraudulent reviews. If caught, your account will be flagged and you jeopardize your profile. It also lowers the integrity of the review platform so it’s best to go the authentic route. Google My Business comes with robust reporting capabilities called Google My Business Insights. To monitor your progress, you’ll want to click on your Insights tab within the Google My Business dashboard. The three most important metrics that you want to monitor are the “Website visits”, “Call you”, and “Ask directions.” You can adjust your time window. However, within Google My Business, you can only look back at the last quarter. For more robust web analytics, you should have Google Analytics installed. This will allow you to analyze more historical data and it will also offer insights into how people interact with your practice’s website once landed. Managing your Google profiles can be time-consuming and tedious, particularly for larger medical practices. To ensure your profile is effective and driving quality traffic to your website, leave your Google My Business profiles in the hands of professionals. rater8 consultants are experts in Google My Business marketing for medical practices. Our qualified team will ensure each listing is unique, professional, and drives results. rater8 consultants have years of experience crafting eye-catching profiles for medical practices. Our end-to-end solutions help get you results. Contact us to learn more!